Dubai, Sep 22: Hailing his team's "clinical performance" against Bangladesh, India skipper Rohit Sharma says they would look to replicate the show in Sunday's Super Four Asia Cup match against arch-rivals Pakistan in Dubai on Sunday. India vs Bangladesh Highlights Asia Cup 2018: IND Win by Seven Wickets. Rohit played another classy knock after comeback man Ravindra Jadeja picked up a four-wicket haul to set up a seven-wicket win in their opening Super Four match Friday. India vs Bangladesh, Super 4, Asia Cup 2018 Video Highlights: Ravindra Jadeja, Rohit Sharma Shine as IND Register Yet Another Comprehensive Win. Here's the preview for India vs Pakistan, Super 4 Tie! Catch all the live updates on LatestLY.com. "It was a clinical performance from the start. We bowled very well and we always knew it was going to be better batting under the lights. Very good from everyone. It was important on a pitch like that to rotate the bowlers and now allow the batsmen to settle," Rohit said at the presentation ceremony. Asia Cup 2018 Points Table: Pakistan Defeats Afghanistan, Occupies Second Spot in Super 4 Round Team Standings of Asian Cricket Tournament. India bowled out Bangladesh, who batted first, for a paltry 173, and then chased down the target with plenty to spare. "We wanted to rotate the bowlers in shorter spells. It was a challenge for us, but I think they responded well. We always knew if we stuck to tight lines, the wickets would come. "Jadeja, playing an ODI after a long time, to come out and bowl like that was a great effort from him. Great effort from everyone, I don't want to single out anyone," said Rohit, who scored an unbeaten 83. India next play against traditional rivals Pakistan, having already beaten them in the group stage. Afghanistan vs Pakistan, Super 4, Asia Cup 2018 Video Highlights: Pakistan Edge Past Afghanistan in Nail-Biting Asia Cup Tie. Bangladesh skipper Mashrafe Mortaza urged his batsmen to shoulder more responsibility. "From the start we kept losing wickets. Today we were just all over the place," Mortaza said. "If you score 170, it's a difficult ask of the bowlers. The batsmen need to take responsibility, especially after failing to score in back-to-back matches. "The next match is against a tough team with good bowlers. We need to bat well." Bangladesh batsmen faltered again, having come a cropper in the run chase against Afghanistan on Thursday night. However, India were hardly troubled in the chase after Rohit and Shikhar Dhawan (40 off 47) provided a solid start with a 61-run stand. Dhawan, like in the game against Pakistan, looked in good touch but was not able play a long innings. 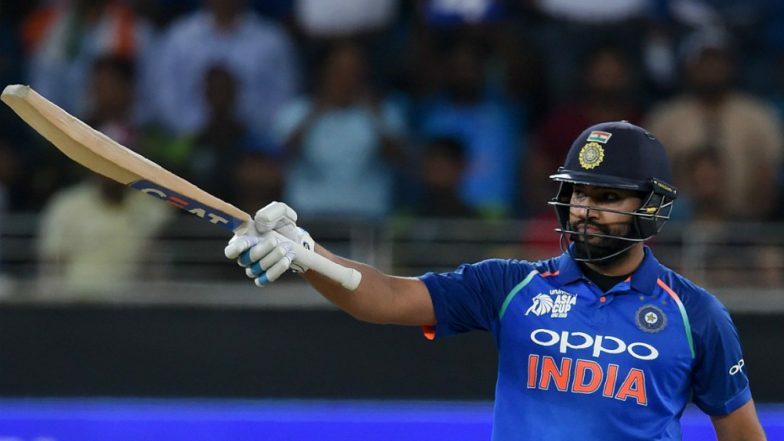 Rohit changed gears after Dhawan's departure, bringing up his 36th ODI fifty with a towering hit off Shakib Al Hasan over deep mid-wicket.